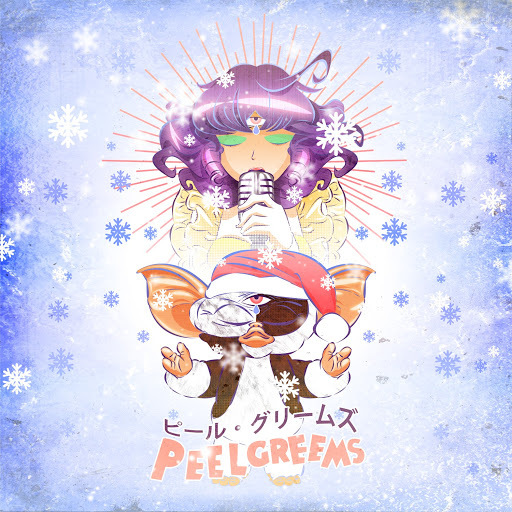 Song of the day: Peelgreems – "Tsuruuchi"
I received a message from Alexis Hadefi (a.k.a. 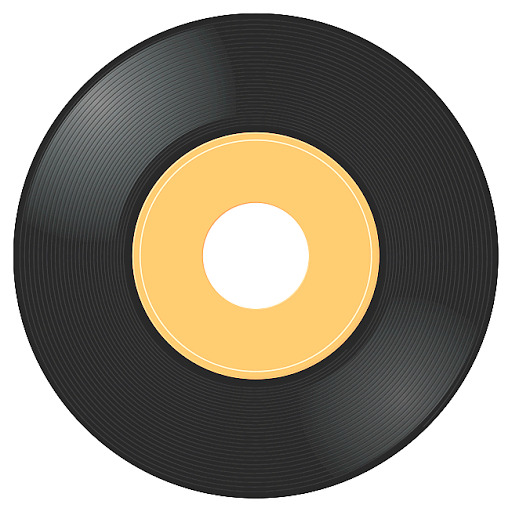 Mr. Peelgreems) that he’ll be releasing one of his Peelgreems songs on a 7″ vinyl record. This is an expensive “unit” fabrication only available until Jan 27 !!! Cost : $50 (shipping included) via PayPal. 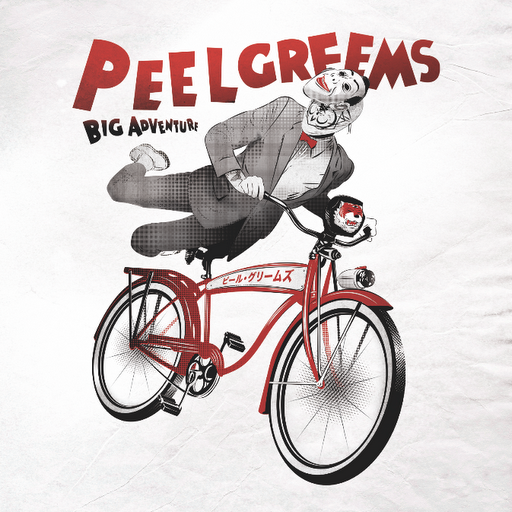 There are only 10 copies of the Peelgreems vinyl singles (individually numbered) available. If you want one of them you’ll have to grab the offer and buy now. Update: There are now only four copies left. Song of the day: Peelgreems – "Zashikiwarashi, Akari .​.​." 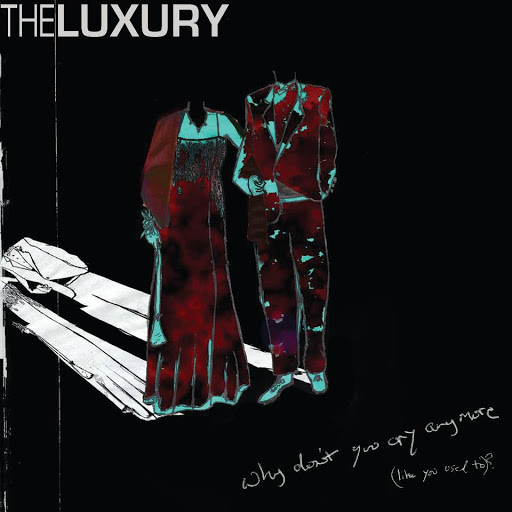 Song of the day: The Luxury – "Why Don’t You Cry Anymore (Like You Used To)?" However, I put that misgiving aside and played the EP. After all, it’s the music that I’m interested in. So, with the MP3s that Jason sent me sitting in my media player waiting to be played, I played them. This is sort of a non-track. It’s 33 seconds of a synthesizer awash in moody and melodramatic sounds. I liked it because it’s an unusual way to start an EP. Ah, that’s it. He sounds like a combination of Robert Pollard (from Guided By Voices), an early Michael Stipe (R.E.M. ), and Chris Martin (Coldplay). This is a cover of a Simple Minds song. Due to legal shenanigans I won’t be posting it here. It’s on the CD (the band got permission), but not online (Internet law is a slippery thing, so the band’s playing it safe by not posting it anywhere). But that’s not going to stop me talking about a song you’re not going to hear online. No sirree. One more production oddity before I stop bothering this song: During the verse that starts from 1:30, there’s a guitar in the right channel quietly playing a chord at the beginning of each bar. What I found odd was that at 1:46 the guitarist plays his chord much quieter than the previous chords, but at 1:48 he plays the next chord surprisingly loudly, much louder than all the other ones in the verse he had played up until then. After that he goes back to playing his chords quietly. Weird. Oh yeah. I like this. I think this is much more interesting than the tracks that came before it. “Sleep Through Summer” starts off with a synthesizer sound that could be described (by me) as “Ice Crystals”, and then the band comes roaring in at 0:13 with some off-kilter guitar sounds. This is much better. I like a fair amount of things about the verse, such as its sleepy mood (with singing that suits the mood beautifully) and the repeating guitar line in the right channel. And I loved how the band chucked in a bar of 6/8 to split the verse (0:44-0:45). Cute. I thought the bridge (0:57-1:19) was a bit ordinary compared to the verses, but the chorus comes along sounding nice ‘n’ epic (1:19-1:41). I’d say that if the band wanted to attract people who like the mid-tempo portentous sound that has been “in” for the last few years (ever since Coldplay made it popular), they could play them this song. Well, this one has more energy than the non-live tracks. And I like it more than the other ones – except for “Sleep Through Summer”, which is still my favourite track on the EP. I do have a minor complaint about “Seven Stories” though: I’m not keen on the sound of that synthesizer in the first half of the instrumental break (2:17-2:31). It’s not just dinky, it’s ultra-dinky. The synthesizer is still there for the second half (2:31-2:43), but at least it’s a lot quieter, and not playing as many notes. But apart from that minor complaint, I enjoyed “Seven Stories”. Thanks, The Luxury, for calling your song “Seven Stories”. Okey dokey. I think I should stop typing shortly and let you get on with whatever it is you were doing before you stopped to read this post. I was glad to be given the opportunity to hear music I hadn’t heard before (thanks, guys! ), and I thought the EP was A-OK for what it was – i.e., slightly synth-y, slightly moody rock. It’s not quite what I enjoy listening to, but I think it’s a good example of the kind of music it is. If that’s you bag, then I’d say you’d enjoy it more than I did. À chacun son goût, baby. By the way, in what might be a horrible case of “I like your old stuff better than your new stuff“, I must admit that after listening to both Why Don’t You Cry… and the band’s previous effort, the 2009 album In The Wake Of Won’t Change, I prefer the album. I’m fully aware that the band could be reading this and thinking “That album was three years ago! We’ve moved on! We’re much better now!” etc., but it’s just my particular tastes in music that have me reaching for the play button on the album rather than the EP. Ah well. One of the songs on the In The Wake Of Won’t Change album reminded me of another song, so there’ll soon be a Musical coincidence on the blog that will feature The Luxury. Oh yeah. Song of the day: Peelgreems – "Simple And Sweet"
Well, I’ve finally gone a day without listening to Peelgreems, the band I first heard about two months ago (thanks, Miyuki!) and had been listening to relentlessly ever since. I don’t know what it is about the music of Peelgreems. There’s something in it that is catnip to me. I don’t know if it’s the tunes (I love ’em), or the playing (the musicians all have excellent chops – or as non-musicians would say, “they play well”), or the production (it’s busy but clean), or a combination of the three, but I can’t stop returning to it. Until now. Woohoo! Peelgreems has released its grip on me! I spent a day without listening to them. Huzzah! Mind you, the very next day I was back listening to Peelgreems. And have been since then. However, I would love you to hear “A Great Dictator” anyway. 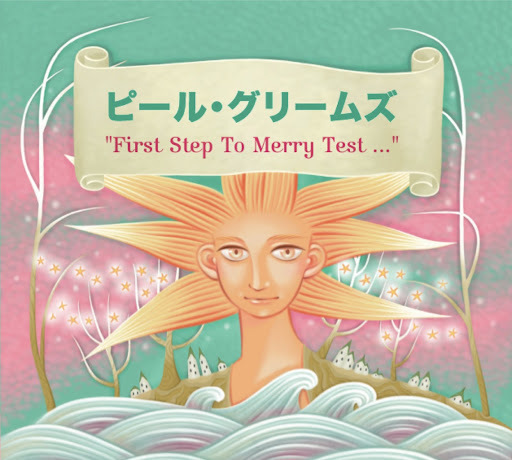 It’s the last track on Peelgreems’ 2010 album, First Step To Merry Test …, and I think it’s a stunning way to end the album. Isn’t there any power pop blogger who’s going to review a Peelgreems album? Just like the previous coincidence in this series, we have another one involving French band Peelgreems and classical music. This coincidence involves a French band called Peelgreems and a bit of classical music. Peelgreems has a track called “Ikkoku” on its latest album, Big Adventure. By the way, the next coincidence will also involve Peelgreems and classical music. So be prepared for some déjà vu the next time you’re reading about a coincidence on this blog. Song of the day: Peelgreems – " ‘L’ Like The Sun Over My Head"
Look, this isn’t funny anymore. I’m still gaga over a band I first heard about a month ago, and can’t stop listening to them. The band is Peelgreems (it’s actually one man, Alexis Hadefi, who has occasional help from a few musician friends). Peelgreems has so far released an EP and two albums, and I’ve been listening to them incessantly. Last month I pestered you with a fair bit of Peelgreems (four posts – here, here, here, and a Musical coincidence). In one of those posts I said that I was listening to those albums and EP at least twice a day. I’m pleased to say that I’ve been able to cut down to once a day. However, I haven’t been able to go a day without listening to them at all. By the way, the last time I posted a Peelgreems track I said that “there’s a distinct possibility that I’ll be thoroughly sick of Peelgreems by the end of next week”. That hasn’t happened yet. And it’s been a month. Because I’m besotted by Peelgreems, I find it completely baffling why the band is not rating a mention anywhere. I understand that there are now squillions of musical acts vying for attention in the electronosphere, but I though at least someone would have noticed Peelgreems by now. But no. Since my posts last month I’ve heard nothing from no-one about nothin’. I’ve yet to see a review of any of Peelgreems’ albums on a blog or website that does that kind of thing (i.e., review albums). That makes me want to emit a huge “Grrr”. After this post I’ll try not to bother you with Peelgreems anymore. I’m acutely aware that you may not feel anywhere near as “Yeah!” as I do about them. So I’ll keep my fanboy-ism to myself. You are currently browsing the archives for the Peelgreems category.